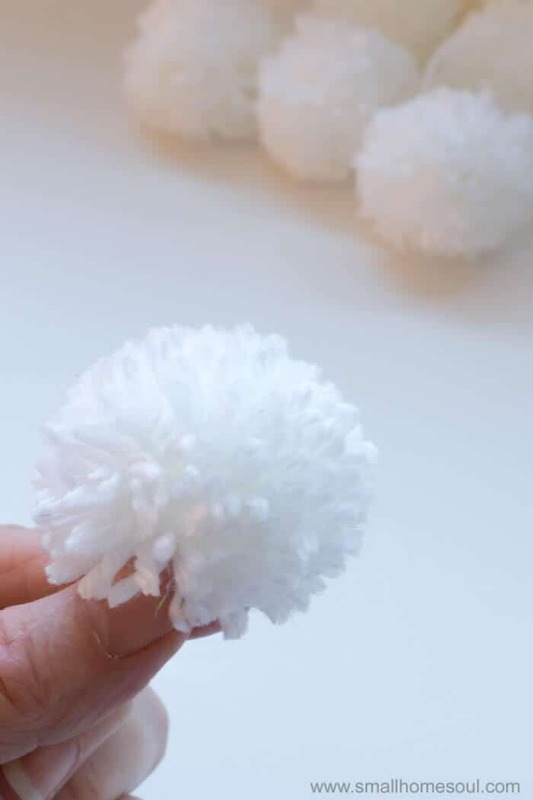 Make Perfect Pom Poms Every Time - Girl, Just DIY! 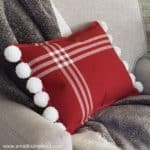 When I decided to make my first Pom Pom Pillow I researched and looked at a lot of blogs and videos. 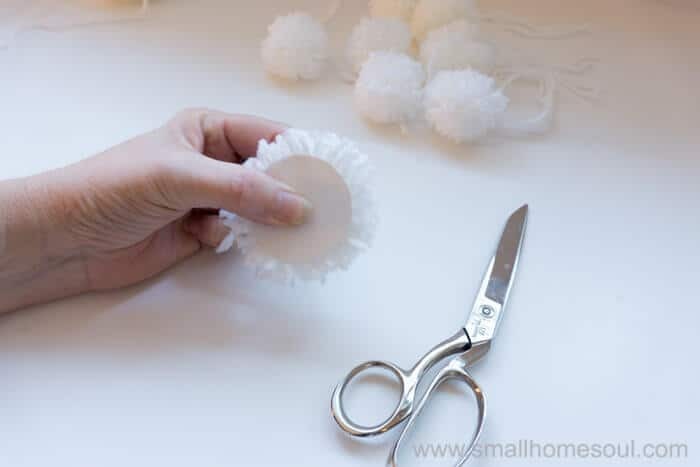 There are many methods to the perfect pom pom but if you want a perfectly round pom pom there is one method that stood out. I’m going to show you how easy it is. 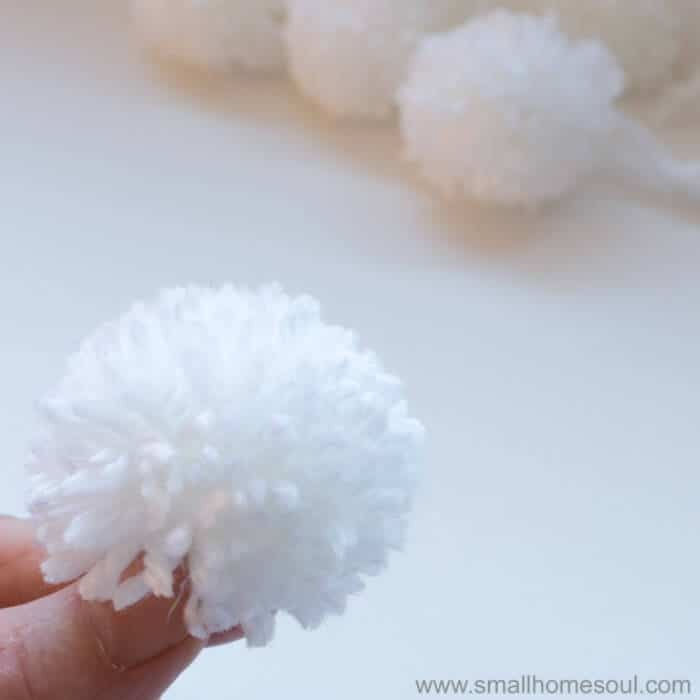 For this demonstration I’m going to make a 2″ pom pom because that’s what I needed for the Christmas Pom Pom Pillow I made recently. I started by tracing the bottom of a small tupperware tumbler (throwback cup, way way back) onto a piece of cardboard and cutting them. Poke a hole in the center of one round with scissors. Cut off about 12″ of yarn as your tie and set it aside. 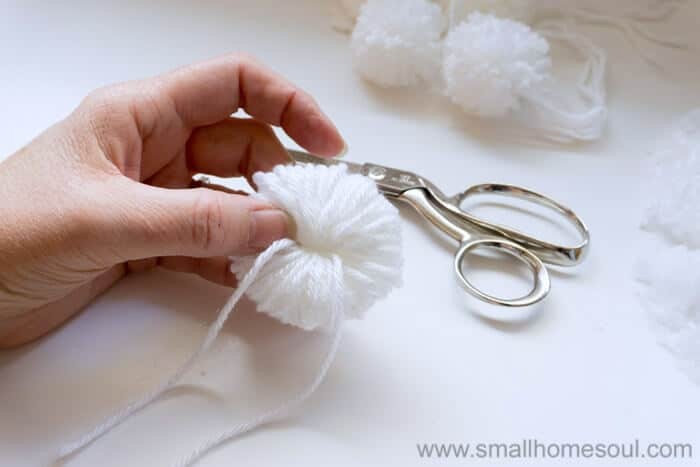 If you are making bigger pom poms, or you want a fuller pom pom, you’ll need to wind the yarn more than 60 times. 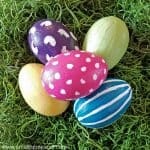 Play with making a few first before you start making them for a specific project. Take the tie and slip one end between 2nd and 3rd finger nearest your palm and wrap around and between your 1st and 2nd fingers to tie in the center but not too tight. Once you have it secured slip your fingers out, align the tie so it’s centered and then tie securely. You can use a surgeon’s knot for the first tie which will hold it securely until you can tie the final knot. 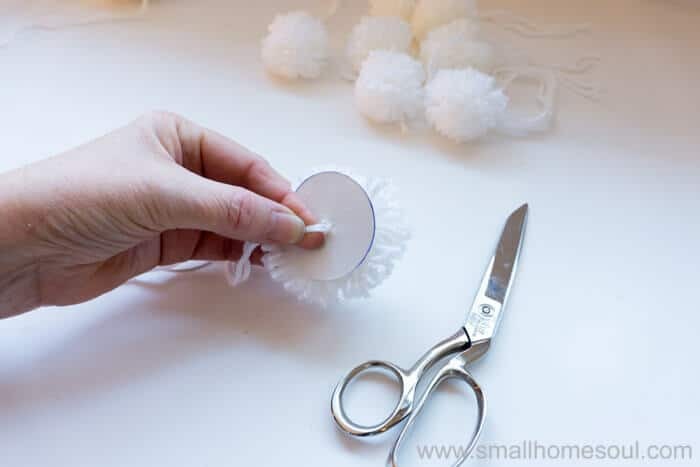 Slip the long tie ends of the pom pom through the holes in the cardboard circle. Using sharp scissors trim the yarn up to the edge of the cardboard circles. Holding the long ties turn the pom pom 1/4 turn and work the tie through the yarn. Top with a cardboard circle to protect the tie from being cut and place the other cardboard circle on the bottom. Trim the edges of yarn again. This time the exposed yarn will be much shorter. After all the yarn is trimmed hold the pom pom by the long tie and give it a good shake. 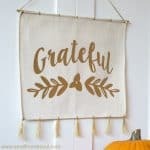 Keep making your perfect pom poms until you have enough for your project. If your yarn is in a ball then you will love using a DIY Yarn Bowl. I made one from a neglected wooden bowl and it works perfectly. 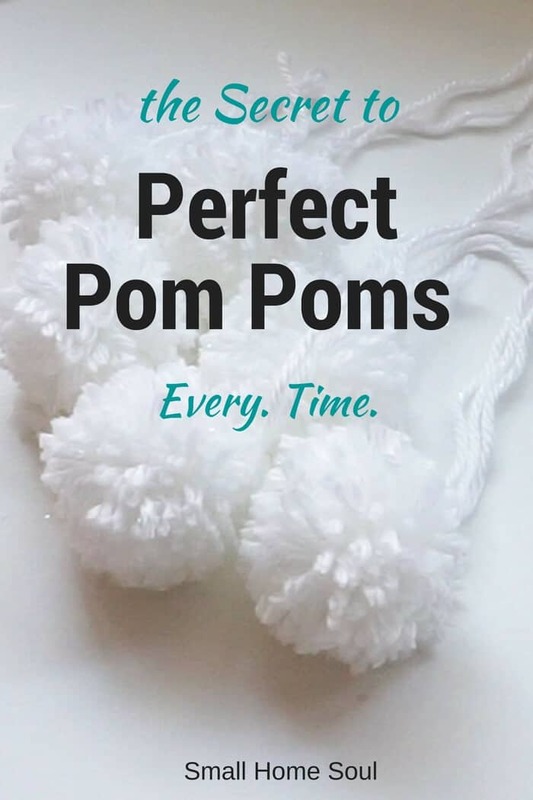 What project will you make with your pompoms? A pillow, a rug? I’d love to hear what you’ll use yours for! 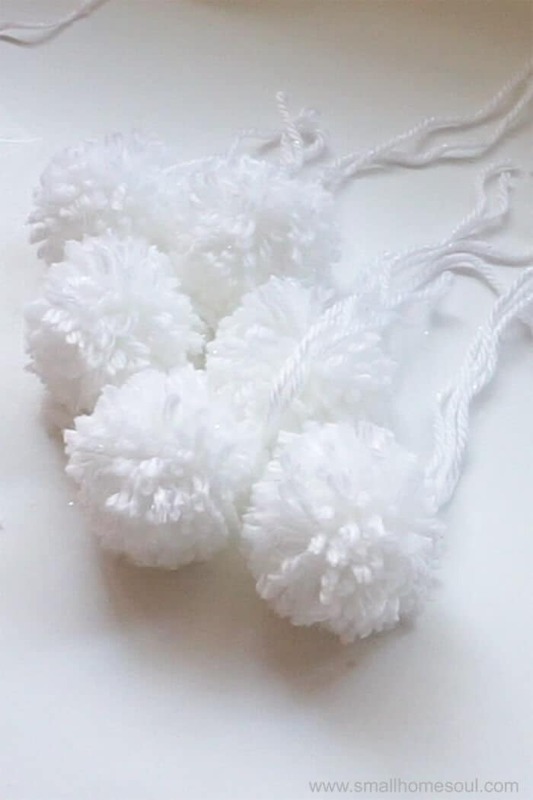 I love pom poms and I haven’t made any yet!! (I know… so sad! ) 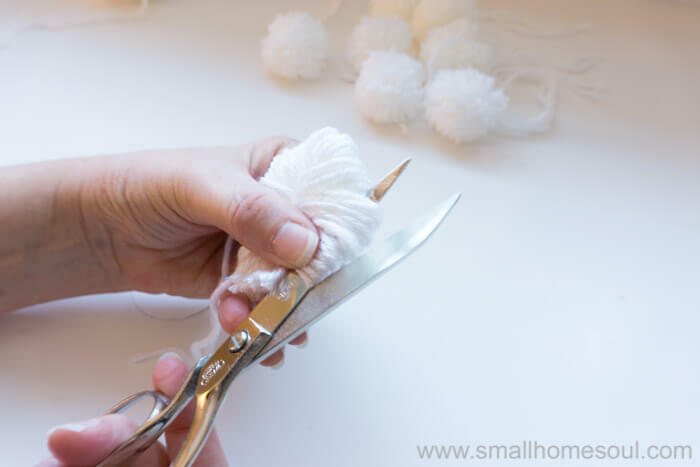 I am always overwhelmed by the number of various ways and devices to make pom poms…. but this is so easy!! I am saving this for the future!